LEGIC RFID chips use 13,56 MHz frequency and are one of the most frequently applied RFID chip cards. LEGIC chip cards are therefore commonly used for security sensitive identification applications in both a commercial and recreational context. Accordingly, LEGIC chip cards might be used for employee ID cards, membership cards, season tickets and eTickets. As you can see within our case study section, renowned companies reliant on highest security standards such as carmakers like BMW, Daimler, VW as well as several airports decisively opt for LEGIC-technology as it meets their security requirements. 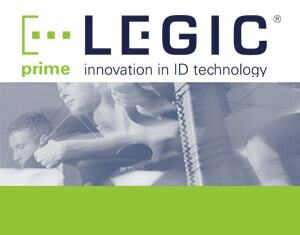 Apart from LEGIC advant chip cards ensuring a maximum security, we also provide you with reasonable priced LEGIC prime chip cards and LEGIC CTC chip cards, which migrate the older LEGIC prime chip cards to the higher LEGIC advant security level. Naturally, we have appropriate LEGIC RFID card readers in stock and are looking forward to help you to encode, imprint and personalize your LEGIC chip cards according to your wishes. As an official partner of LEGIC, YouCard provides you with several years’ experience in terms of LEGIC ID and chip card systems and encoding these. Due to our licensed partnership we are also able to encode IAM cards and provide your with card printers which include a LEGIC chip card encoder. Besides exceptional technical trainings and experience for our chip specialists and technicals, we can support you with premium service, support and great prices. 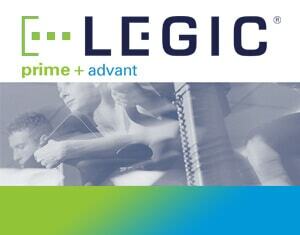 Just get in touch with our LEGIC chip experts to receive more information. Apart from one or more selected LEGIC chip cards like LEGIC prime or LEGIC Advant you can purchase all compatible LEGIC card reader by YouCard. Even hybrid card readers for LEGIC Chips which can encode magnetic stripes or contactbased chip cards either are available. All LEGIC chip card readers are high quality products which are very customer-friendly and cost-effective. In the following you can find a short overview about the available LEGIC chip card series, get useful additional information and some application examples. Our LEGIC experts like to develope with you a particular and individual LEGIC RFID chip card solution. No matter if its an access control, a visitor management system or an employee ID badge solution. If you have any questions please don’t hesitate to contact us. Just get in touch with our chip card experts and get first class service and support for free! The LEGIC prime MIM 256 and LEGIC prime MIM 1024 chip cards are sold as RFID card, key fob, bracelet or keychain and can either be blank, one- or dualsided imprinted or (photo) personalized. At your desire, we will also encode your LEGIC prime chip cards for you regarding to your particular needs and wishes. The LEGIC advant chip card comes with the secure advant transponder chip which may also be built into a keychain. The LEGIC advant chip card series is the new high class security solution from LEGIC, which fits with all state-of-the-art security requirements for RFID cards. 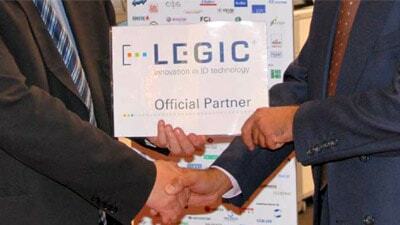 The LEGIC CTC4096 chip card is compatible with LEGIC prime and LEGIC advant systems. By means of its LEGIC CTC chip card technology, this chip card allows for older systems to easily migrate to the advanced advant security standard and provides you the possibility to use prime and advant chip cards parralel in one RFID card environment.